Did your dog love the water? Are you looking for biodegradable urns for water burial for your dog? Water burial urns are specifically designed for biodegradable placement in the water of your pets cremated remains. 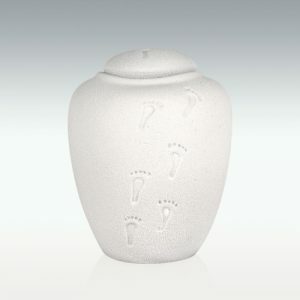 Depending on which urn you choose from weather conditions and the weight of your cremated remains, the length of time usually takes 5 minutes to 4 hours. When you place your urn, Federal and local regulations must be followed when placing an urn at sea (no closer than 3 nautical miles from shore). Is beautifully handmade recycled and earth friendly materials (food-grade recycled paper) that naturally breaks down in the water. Each shell is individually hand painted. You can easily seal the urn from the back. You have the option for plenty of room for special memorials or notes. If you will be flying with your urn it does include a TSA-compliant carrying case for “in-cabin” airline transportation. When you place your urn into the water it will float approximately 30 minutes depending on the on the weight of your dogs remains and then will start to gracefully descend into the water. Once on the bottom of the water the urn will break down naturally. Telander is an international scientific illustrator and artist who has produced work for numerous zoos and aquariums, wildlife and ocean conservation groups, and is a selected artist of the American Birding Association. 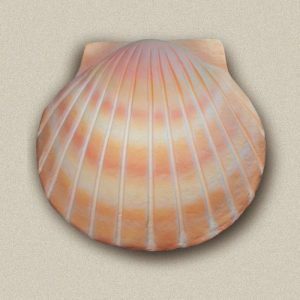 His background in biology and environmental studies, coupled with his talent as an illustrator, results in shells that is both scientifically accurate and beautiful. Are individually hand crafted from solid blocks of Himalayan rock salt deposits over 250 million years old and believed to be the purest on earth. 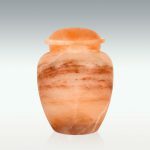 As a result of the handmade and natural qualities, each urn is unique in color finish and veining. No two urns are exactly alike. When placed in the water these urns usually take 4 hours to dissolve. Produced using sustainable materials to create an attractive and environmentally-friendly alternative. Each urn is hand-painted by skilled artisans and some of the designs include real beach sand (or crushed quartz) that are applied to the outer surface of the urn. This urn has holes in the bottom, to allow water to enter quickly so that it floats for a short period of time and gracefully sinks when placed into the water. Each urn includes a biodegradable bag into which the cremated remains must be placed. No glue is required to seal the urn. Simply remove the lid, carefully moisten the inside lip and replace the lid. It will seal itself. The urns are produced with a vegetable-based gelatin. The box (and urn) will pass through airport security screenings and can fit in the overhead compartment of most commercial airliners. Once placed in water, the urn will break down within three days. I am so sorry for the loss of your pet, being a pet owner I understand the pain you are going through. What a really nice thought for when your pet passes. 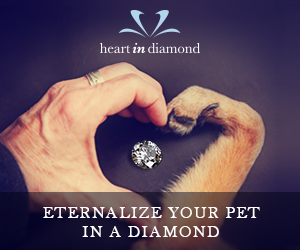 Your pet is often one of the family and this is a special way to honour them. Furthermore, unlike a cardboard tube these designs are actually very beautiful – I especially like the shell and the beautiful colours in the Grecian salt urn. Being biodegradable is a huge plus. Yes, being biodegradable is a huge plus for the environment. Our pets are finally getting the respect that they deserve with so many options to choose from today. These are such great ideas for when someone loses their beloved pet. I am such a huge pet lover and enjoyed reading thru your website. I sometimes miss my beloved cats that I have lost. I really be passing this information and website link to other animal lovers who will want to look at getting pet urns for their furry companions who have passed. I am glad you enjoyed reading through my website. Thanks for stopping by and passing along my link. Thanks for the great tips. I’ve got two golden retrievers and i hope I will not need one anytime soon. The Grecian Salt Urn sounds very expensive though. Aww I love golden retrievers!! The Grecian Salt is not as expensive as you would think it would be.